María lives with her three school-age children and 80-year-old father, Agustín. It’s clearly a struggle for her to make ends meet and to juggle all of her commitments. 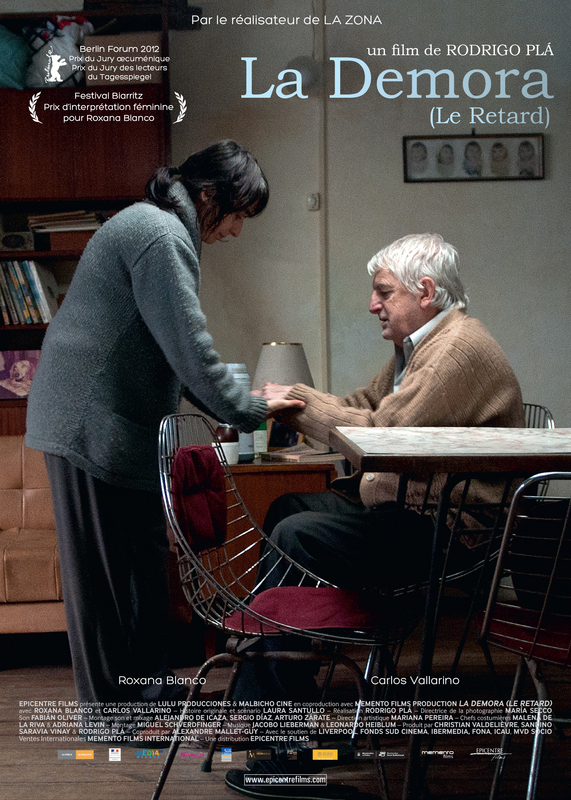 Agustín has periods of lucidity, but his mental deterioration is such that Maria explores the possibility of his either living with another relative or moving into some kind of care facility. When both of these options seem imposible, María makes a drastic decision. 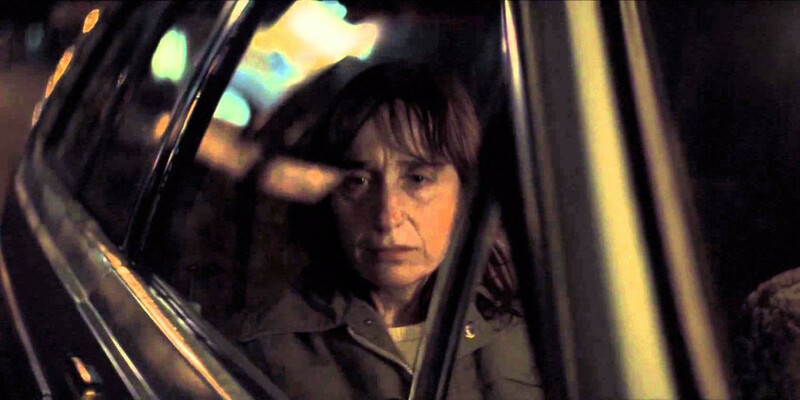 Selected as Uruguay’s entry for the 2013 Academy Awards, Rodrigo Plá’s narrative accuracy gets audiences involved in this simple story with no false notes. Far from the notion of dysfunctional family American cinema has transformed into a tight system of clichés, The Delay moves far beyond the realm of black and white, employing a subtle variation of grays, underlining what becomes the film’s central theme: the intense, painful ambivalence of family responsibility. 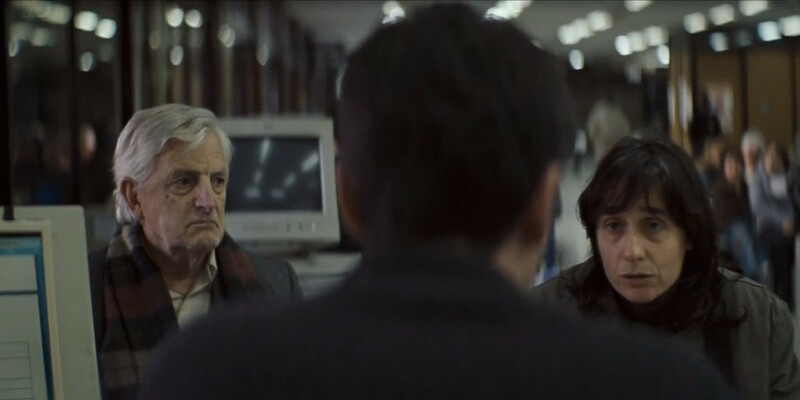 THE DELAY IS ONE OF THE MANY FILMS INCLUDED IN THE CATALOGUE OF SPANISH FILM CLUB. SFC AFFILIATED UNIVERSITIES CAN TAKE ADVANTAGE OF A SPECIAL PRICE OF $99 IF THE TITLE HAS BEEN INCLUDED IN THEIR SFC FESTIVAL. PLEASE CONTACT SFC STAFF AT FILMCLUB@PRAGDA.COM FOR MORE DETAILS. Rodrigo studied film at the Centro de Capacitación Cinematográfica (CCC) in Mexico City. He is the director, producer and screenwriter of several films. Some of his most prominent short films are Novia Mía (1995), El Ojo en la Nuca (2000), and 30-30 (2010), the latter being part of the feature-length film Revolución, directed by a group of filmmakers. He has also directed the feature-length films La Zona (2007), and Desierto Adentro (2008), receiving a number of awards around the world, including the Leone del Futuro – Premio Venezia Award Opera Prima “Luigi De Laurentiis at the 64 Mostra Internazionale D’Arte Cinematografica di Venezia (Italy, 2007), the International Critic’s Prize (FIPRESCI) at the Toronto International Film Festival (Canada, 2007), the Student Academy Award for Best Foreign Short Film (USA, 2001), and the Mayahuel Award for Best Film at the Guadalajara Film Festival (Mexico, 2008). 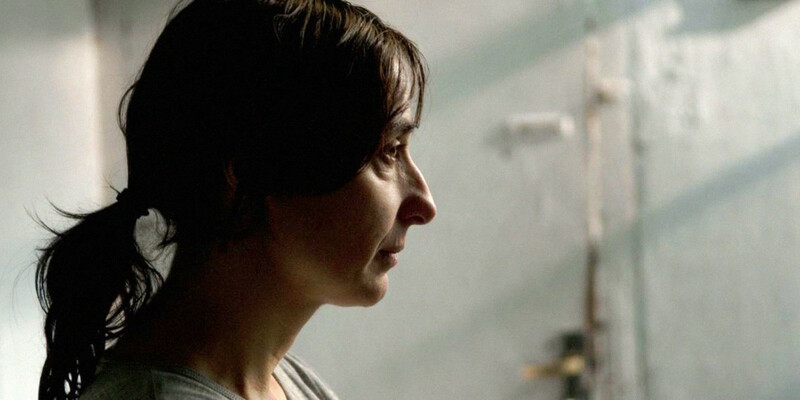 La Demora (2012) is his most recent work and it premiered at the Berlinale Forum. We sought to build the story with small gestures, focused on the relationship between the two main characters and the way each of them experiences their circumstances. 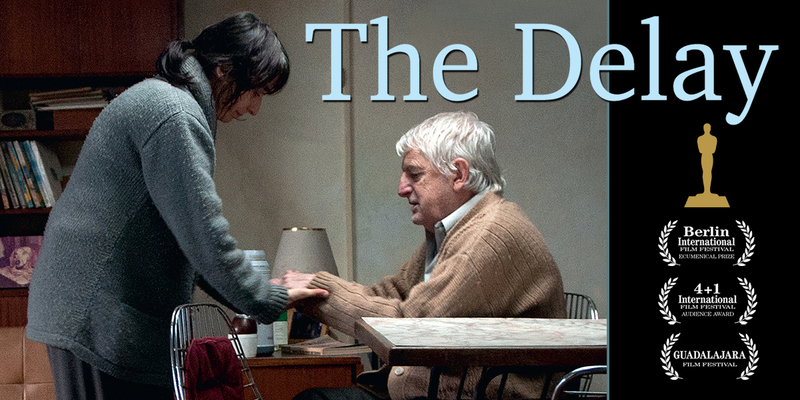 The daughter is a person overwhelmed by her single-mother situation while the father is a man confused and dwarfed by the limitations of old age. The interaction between these two crisis-ridden realities will gradually wear down their relationship, like the gear wheel in a machine that loses parts and starts to malfunction until it eventually breaks down. The plot revolves around the fault, around the emotional dysfunction and its burst. We were especially interested in exploring in depth that unexpected burst in the life of an ordinary character, wondering how that cruel reality arises, almost foreign to the character’s mind, and bypasses his sanity. We felt that to tell such story we needed a narrative different from the one we had used before. The result is the tale of an accident of sorts, but one that takes place in the field of emotions. Naturally, as this “emotional accident” is an internal event of the character, there are previous signals that can be traced once the crisis has occurred, but we tried not to emphasize the factors that trigger the explosion. We tried to devise the plot not by analyzing events that have already taken place but instead by covering the process as it unfolds, without giving away information in advance. 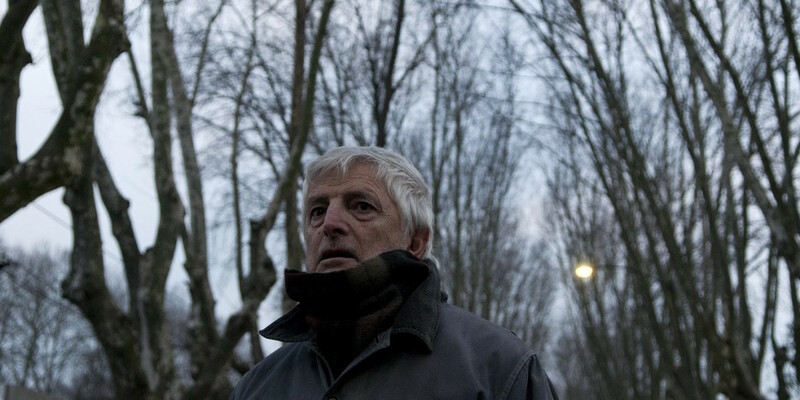 We attempted to build a story without overloading it with emotions, but not abandoning the intention of making La Demora a moving film and to present a personal gaze about the arrival of old age.